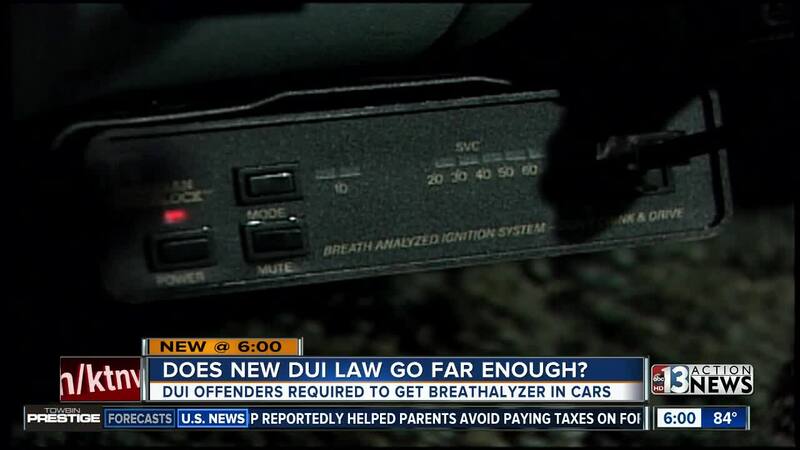 A new Nevada law that requires anyone who has been arrested for DUI to install an ignition interlock device has taken effect. SB259 requires the ignition interlock device so those with DUI convictions can reinstate their driving privileges. Nevada joins 30 other states in implementing an all offender mandatory ignition interlock law. An ignition interlock is a device installed in a vehicle that measures the level of alcohol in breath. Connected directly to a vehicle’s ignition system, drivers are required to blow into the attached mouthpiece to test their breath alcohol concentration. If alcohol is detected, the interlock device prevents the vehicle from starting. By law, ignition interlock devices are equipped with cameras to confirm that the individual who provided the breath is the one driving the vehicle. As of 2017, there were approximately 2,000 installed and activated devices in the state of Nevada. It is expected that the number of interlocks could exceed 10,000 devices within the first two years. Currently, Nevada has nine approved vendors with over 32 service centers across the state. With the implementation of the law it is anticipated that service centers will increase. An exemption is provided if the person resides more than 100 miles from a service center. Ignition interlock devices must meet the National Highway Traffic Safety Administration's model specification and be approved by the Nevada Committee on Testing for Intoxication. "Before this law, even though it was for a shorter time, you could not drive and in some ways it makes sense and that's what other states have done," says Chip Siegal, local criminal defense lawyer. 50 other states already have alcohol interlock laws, the Nevada Office of Taffic Safety says those states including Arizona and New Mexico, saw fewer fatalities after SB259 was implemented.